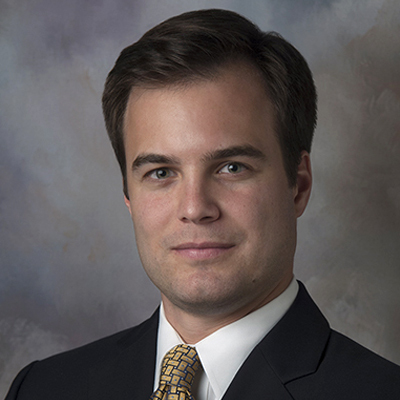 Hunter K. Yoches is an Attorney in the Litigation Section of King & Ballow in Nashville, Tennessee. Hunter received his law degree from the University of Memphis, Cecil C. Humphreys School of Law. He also received a Master of Arts in Political Science at the University of Memphis, completing the dual-degree program while in law school. Hunter earned a Bachelor of Arts in Law & Politics, with a minor in Biology, from Freed-Hardeman University, where he was the second student to ever graduate from the program. While in law school, Hunter served on the University of Memphis Law Review. During his time at Memphis, he earned the CALI Award for Torts II, was awarded the Pro Bono Service Gold Award, and was recognized as a 2017 Law Student for Justice. Hunter was also nominated to serve as a Pupil on the Leo Bearman Sr. American Inn of Courts. Lastly, Hunter served as a special assistant to the Tennessee Supreme Court and the Administrative Office of the Court during the formation of the Business Court Pilot Project in Davidson County, Tennessee, which has continued its highly successful business court docket pilot project as it seeks to provide all Tennessee businesses and citizens across the state with a specialized business court docket. During his time at Freed-Hardeman, Hunter was a scholarship athlete on the men’s soccer team which set a school record for wins and shutouts during his freshman season. Before working at King & Ballow, Hunter clerked for the Honorable Thomas E. Johnston, Chief Judge of the United States District Court for the Southern District of West Virginia.